260 pages | 2 B/W Illus. 1. Introduction:Are we making a difference? 8. A new critical pedagogy for physical education in ‘turbulent times’: What are the possibilities? 12. Gender in Physical Education: A case for performative pedagogy? 14. Is asking salutogenic questions a way of being critical? 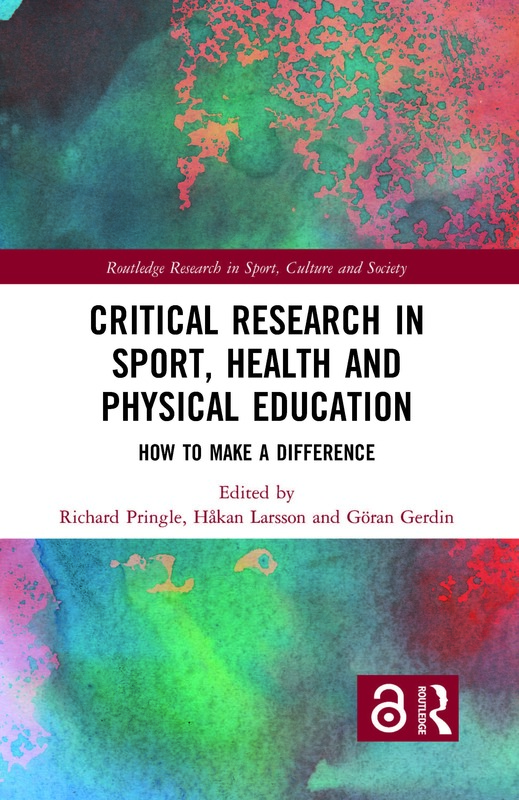 Richard Pringle is Professor of Sport and Physical Education at Monash University, Australia, and is on the editorial boards of the International Review for the Sociology of Sport and Curriculum Studies in Health and Physical Education. He is a critical qualitative researcher who examines diverse socio-cultural and pedagogical issues associated with sport, exercise, health, physical education, bodies and gender relations. Håkan Larsson is Professor of Physical Education and Sport Pedagogy at The Swedish School of Sport and Health Sciences, Sweden, where he heads the research group for physical education and sport pedagogy. His main interests concern sport, gender and sexuality, and teaching and learning in physical education. In 2015 he held the honorary scholar lecture at the British Educational Research Association’s Physical Education and Sport Pedagogy Invisible College. Göran Gerdin is Senior Lecturer of Physical Education and Sport at Linnaeus University, Sweden, and is on the editorial board of the journal Curriculum Studies in Health and Physical Education. His research focuses on how issues of gender, bodies, spaces and (dis)pleasures shape students’ participation, enjoyment and identities in school health and physical education.